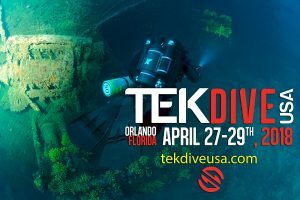 Michael Thornton co-organizer of TEKDiveUSA, started diving in 1998 and has been an addict ever since. 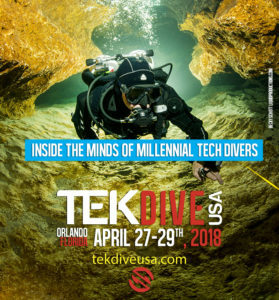 Michael first became a tech diving addict when he completed his Advanced Nitrox and Decompression Procedures to become certified OC Full Cave at an early age of 15 with his brother and father. 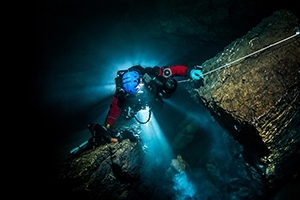 In 2006 Michael began teaching Technical diving courses around the world through Dive Addicts. 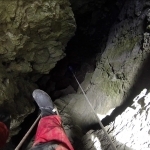 His biggest passion is teaching OC and CCR Cave. Michael is an Advanced Mixed Gas IT through TDI and IANTD. 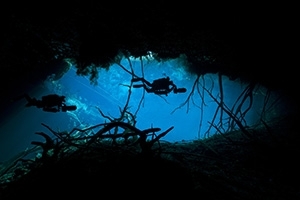 Michael enjoys anything underwater from exploring a virgin cave on CCR to teaching Freediving courses through FII. 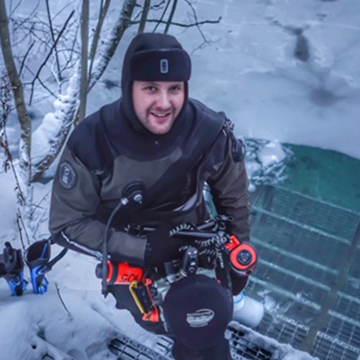 Michel is involved in several ongoing cave exploration projects in Utah and is currently the co-project leader of the Main Drain diving project. 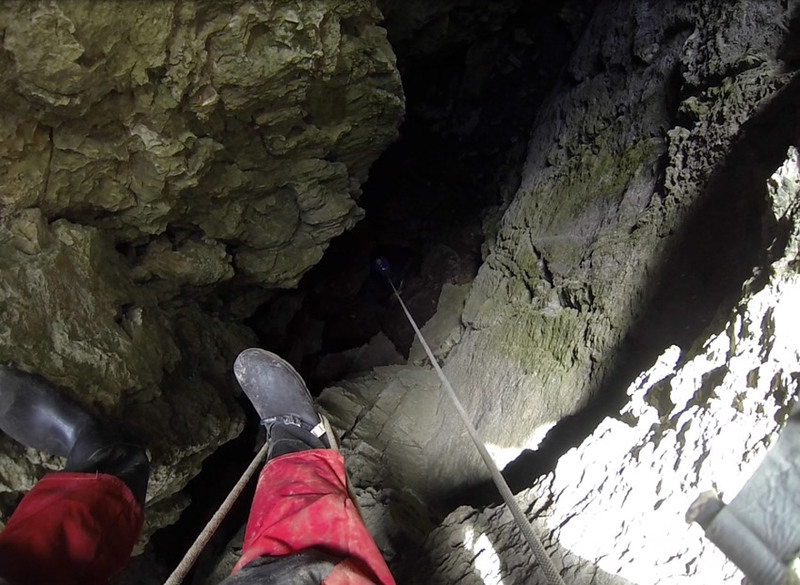 Although his passion for rebreathers has him diving CCR whenever practical, Michael can be found deep inside a cave using whatever means to further the exploration. When not diving he is working on music or spending time with his wife and two daughters and son.